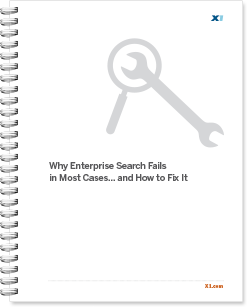 Enterprise search means different things to different people, and therein lies part of the problem. There are really three distinct forms of enterprise search: 1) Web-based search, 2) Business Analytics or “Big Data” search and 3) Business Productivity Search. Each distinct form of search is appropriate for various use-cases and, to be effective, requires that the search engine, methods of analysis and workflow be specifically designed for the particular use case.